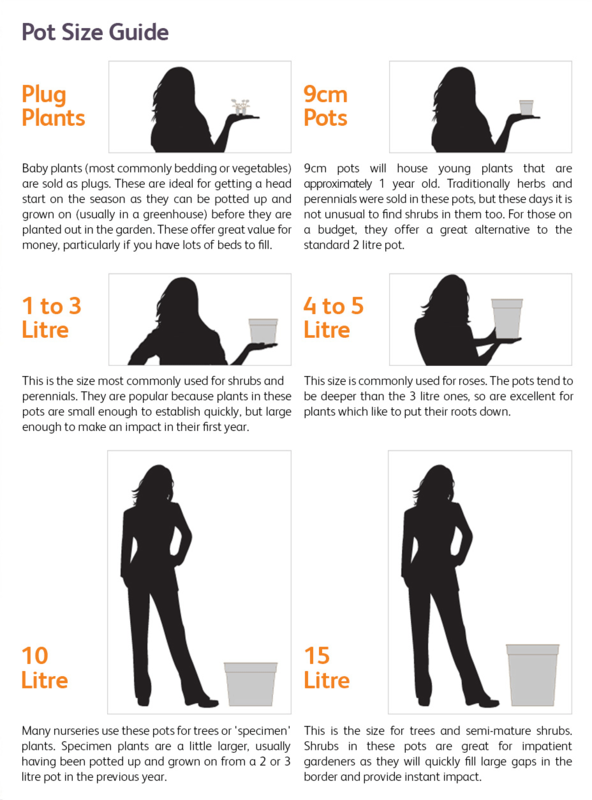 This easy-fit Wherever water tap can be installed in minutes to provide running water wherever you like in the garden. 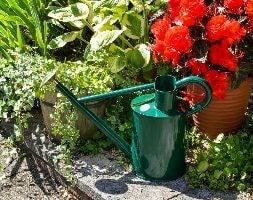 Screw it to a wooden stake and insert in the ground, or fasten to a wall, fence or other vertical surface. 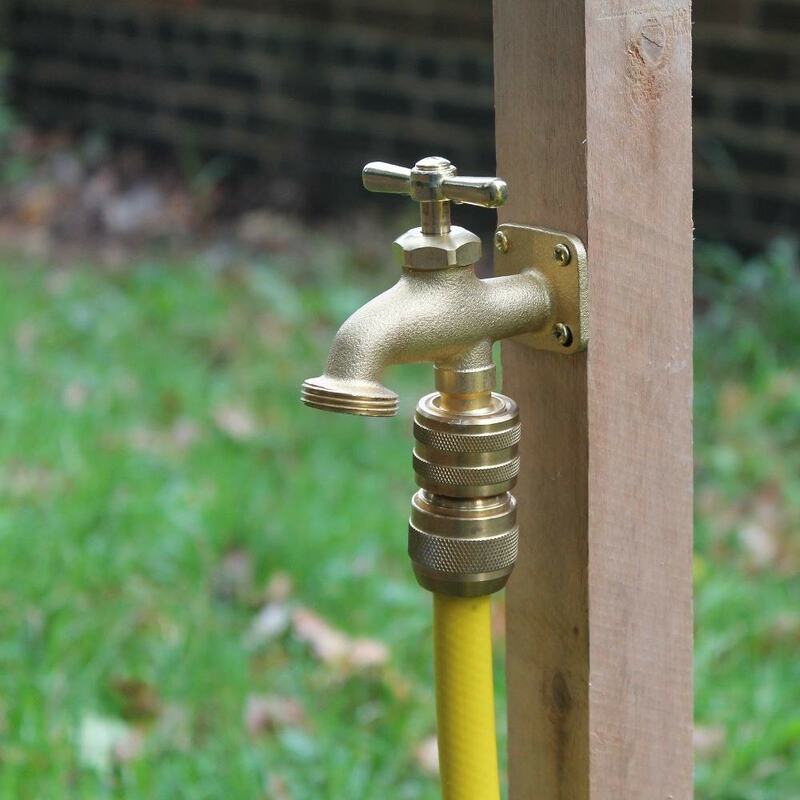 Once in place, connect up your garden hose and run it to your garden tap. 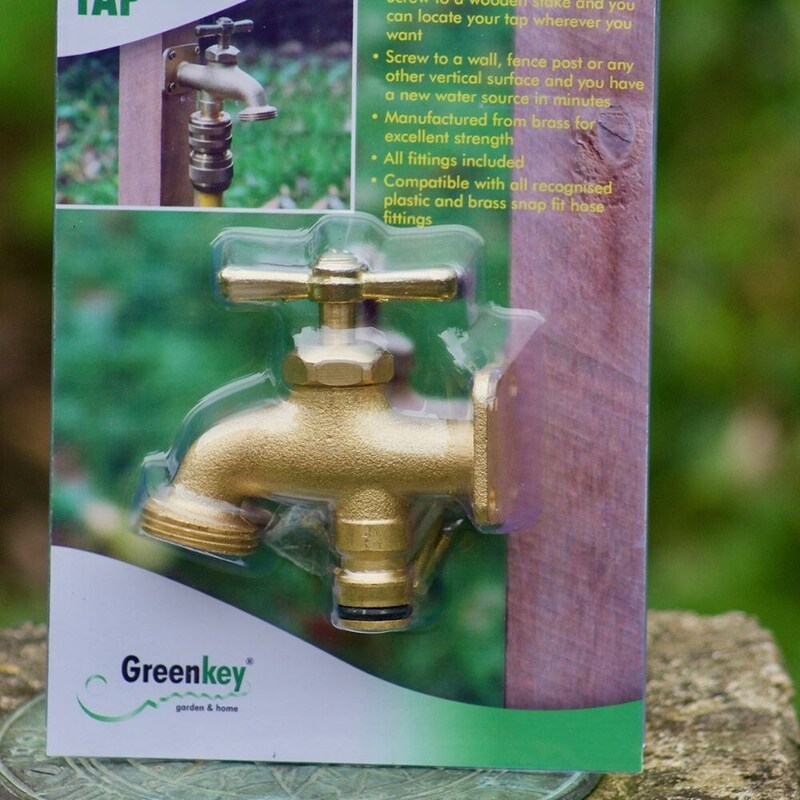 Made from solid brass and supplied with fittings. 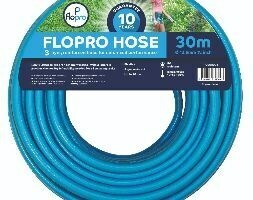 Compatible with all recognised plastic and brass snap fit hose fittings. Please note: if there is a risk of freezing conditions, disconnect the hose and leave the tap open.